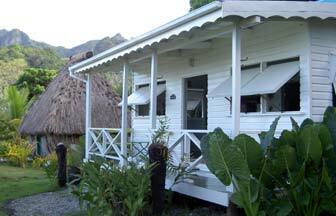 Once you´ve been in Levuka for a while, you might not want to leave. Here are some pictures of homes that people built to escape the rushing outside world and enjoy the silence in a friendly atmosphere. It's maybe exactly the lifestyle that you ever wanted to have. is a lush volcanic island approximately 180 square kilometres in size. 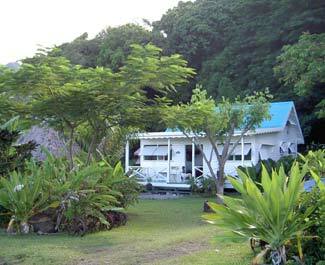 Levuka is located 22 kilometres from the island's airport, Bureta. 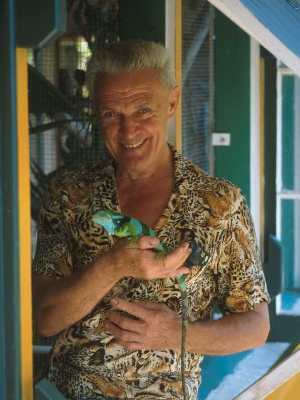 The island's population is around 8000 of which nearly 25% reside in Levuka. The majority are indigenous Fiji Islanders, with part-Europeans, Chinese, Indian, Rotuman, Solomon Islanders, and many others representing the balance. Levuka/Ovalau weather is a coastal tropical maritime climate with no extreme temperature fluctuations. The summer from November till April is warm and humid with calm and sunny days often with short but heavy afternoon or night showers. The warmest and calmest is February/March with Temperatures are around 30 Celsius. Winters from May til October bring dryer south east trade winds that can cause the evenings to be cool and windy. August usually is the coldest month temperatures can drop just under 20 Celsius on overcast days.